Live long enough in New York and you’re bound to see an old bohemian bar or 1920s movie palace bite the dust. The staggering rents mean property is always turning over -- and it also means the city’s iconic haunts go through some strange transformations. Here’s how seven famous delis, bars, and disco clubs were reincarnated. A couple of these updates are mildly (to severely) depressing, but hey, at least we got a baseball stadium out of all this. Even if you were born long after the Ramones’ first concert at CBGB (short for Country, BlueGrass, and Blues), you probably sported one of the club’s black T-shirts during your rebellious teen years. The punk and new wave venue acquired a legendary status in the 1970s thanks to a slew of shows from Blondie, Talking Heads, and many more. 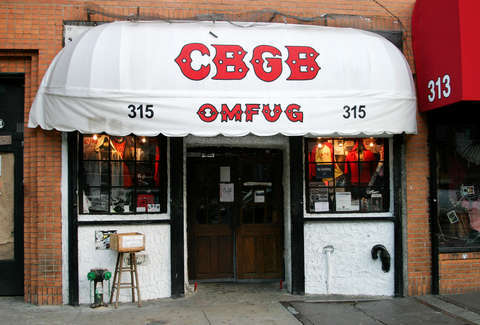 Its success continued into the 1980s and 1990s, but CBGB hit a snag in the aughts. Owner Hilly Kristal and his landlord began fighting over the rent in a years-long battle that eventually went to court. Kristal agreed to vacate the property by Halloween of 2006, but hosted a blowout led by CBGB favorite Patti Smith on October 15th as a last hurrah. Fashion designer John Varvatos later turned the building into a boutique that sells shearling jackets for $3,000, which pissed off many former slam dancers -- although Varvatos insists he saved the space from a far worse fate: getting turned into a bank. When the Hippodrome opened in 1905, it was touted as the largest theater in the world. True to that lofty claim, the venue saw many grand spectacles in its day -- the craziest probably being when Harry Houdini brought a five-ton elephant named Jennie on stage for his 1918 magic show, and then made her disappear. But the Hippodrome suffered as movies started surpassing vaudeville and sideshows as the preferred form of entertainment. The theater tried to incorporate film into its repertoire, but the ploy didn’t work, and the entire building was razed in 1939. 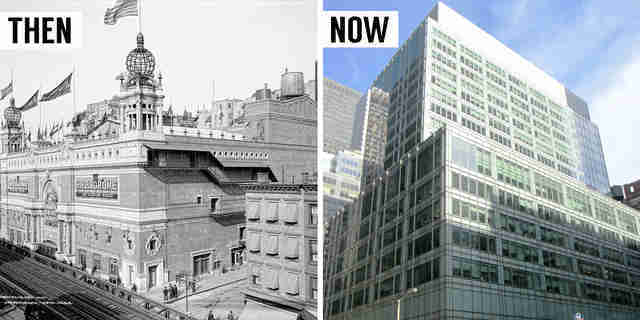 Now, it’s another sleek office building on Sixth Ave, still called the Hippodrome. You’ve heard the stories about Elton John and Andy Warhol’s wild nights, and seen the photos of Bianca Jagger riding a horse through the dance floor. For nearly a decade, Studio 54 was the decadent disco to beat. But all the best parties come to an end, and this institution was no exception. After Studio 54 shut down in 1986, it served as a venue for rock shows, then sat in disuse for several years. In 1998, the Roundabout Theatre Company mounted a production of Cabaret in the forgotten building. The group then bought the space in 2003 and made it a permanent home for its plays and musicals -- including wholesome stuff that would have never appealed to the Studio 54 crowd, like Holiday Inn. In the 1960s, playing the Gaslight Cafe was a rite of passage for emerging musicians. It didn’t matter if you were Bob Dylan, Bruce Springsteen, or James Taylor -- you had to be there. But the beatnik haven seemingly couldn’t survive the new decade, and closed for good in 1971. The space is now occupied by The Up & Up, an upscale cocktail bar that attempts to channel the spot’s history with framed vintage posters while serving $15 drinks. Steeplechase Park was the amusement park that launched Coney Island as New York’s roller-coaster destination, before it was ultimately brought down by a Trump. George C. Tilyou was spurred to open the park after seeing a Ferris wheel in the flesh at the 1893 Columbian Exposition in Chicago. Once he acquired one for himself, along with several more mechanical rides, he invited guests to Steeplechase for the low entrance fee of $.25. The amusement park suffered setbacks due to 1907 and 1939 fires, but it managed to keep the rides running until 1965. Forced into a financial tight spot, the Tilyou family sold to real-estate mogul Fred Trump (father of Donald). There was talk of a possible historic landmark designation, but Trump demolished the park before preservationists could gain any traction. The elder Trump then planned to build apartment buildings on the lot, except he couldn’t get the proper zoning. So NYC Parks snapped up the land. In 2000, construction began on a baseball stadium for Brooklyn’s then-new minor league team, the Cyclones. 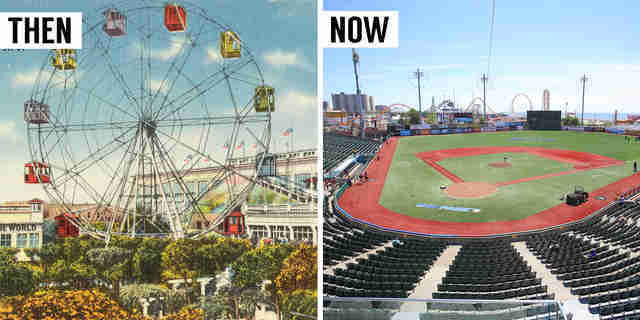 That project became MCU Park, where the Cyclones still play today. 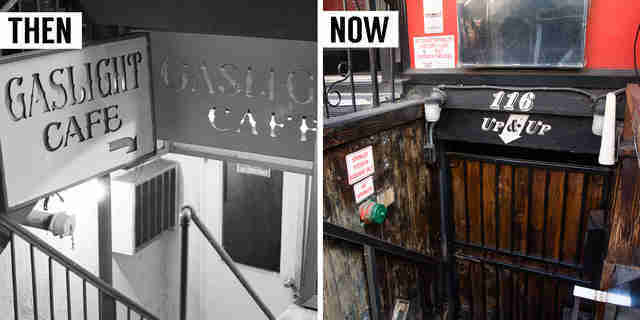 This beloved East Village dive managed to survive even as so many grungy relics of the 1970s and 1980s seemed to fold to a new set of condos. But the reaper came for Mars Bar in 2011, after health code violations -- namely, about 850 fruit flies -- shut the place down. There was no coming back, since developers were already planning to raze the building to put up new apartments. BFC Partners did just that, ironically naming the new place Jupiter 21. The complex also included a TD Bank right on the corner where Mars Bar once stood, but that wasn’t the true dagger to the dive’s clientele -- it was the supposed “replacement” sanctioned by the late Mars Bar owner Hank Penza that turned out to be a wellness mecca featuring wheatgrass shots and yoga classes. For years, serious New York sandwich enthusiasts were asked to choose sides: were you Team Stage Deli or Team Carnegie Deli? Then in 2012, Stage waved the white flag, closing down over rent spikes. (Sadly, Carnegie is also leaving us at the end of the year.) 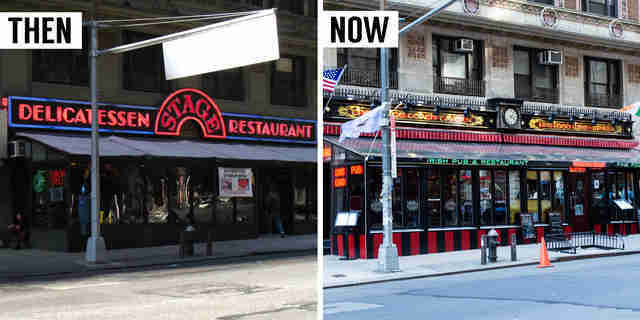 In its glory days, Stage was known for crafting enormous pastrami sandwiches and naming them for celebrities like Eddie Murphy. But since then, pub fare has taken over the menu. Stagecoach Tavern now resides at the old address, and serves steak fries along with regular sports programming. 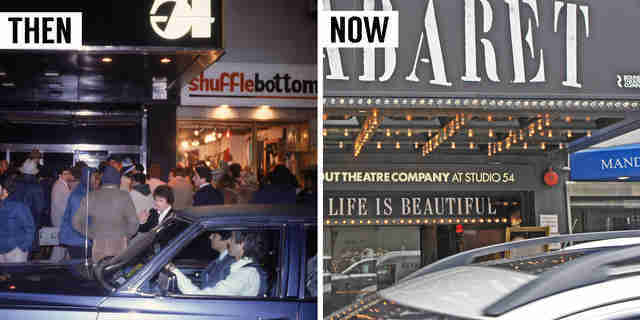 Kristin Hunt is a freelance writer for Thrillist, and is still mourning the fall of Ziegfeld Theatre. Follow her to former movie palaces: @kristin_hunt.